A woman is hoping the local community can help put her in touch with her relatives in Larne. Alison Skipper, who is in the process of researching her family tree, is seeking information on Timothy Lawrence Price. Mr Price was Alison’s step-grandfather’s brother, and was a former manager or editor of the Larne Times. In 1951, he was awarded an MBE for services to education in Larne. Alison is aware through her research that Timothy was born in Brecon, Wales, in 1876. She has also discovered that in 1911 he was living with his family at 41 Glenarm Road, Larne. Mr Price had a wife called Margaret and two sons: David Lawrence Price, born in 1904 in Larne, and William Wynn Price, who lived from 1908 until 1989. 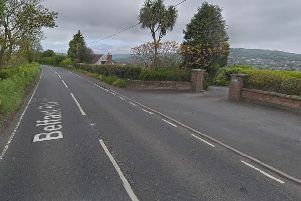 Alison told the Times that when Timothy died in 1953, his address was Brynheulog, Glenarm Road, Larne. She has found that Timothy’s son William was in the Royal Artillery during the war and also worked for the Northern Bank. He was manager of the Trevor Hill branch in Newry when he retired in 1971. Alison is hoping that, based on the information she has already sourced, Larne Times readers can give her more information on Timothy, as she wishes to be in contact with his family. Anyone who can help is asked to contact Alison directly by emailing alison@skippers.org.uk.